DPRK – China trade: What is happening? 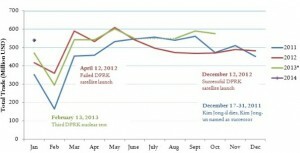 Trade between North Korea and China in January has increased roughly 16 percent against the previous year. After the December 2013 purge of Jang Song Thaek it was predicted that trade between the two countries would decrease; however, there is no visible sign of this yet. According to the Korean Foreign Trade Association’s* data, trade between North Korea and China in February increased from 471 million USD to 546 million USD, up 15.9 percent compared to the previous year. February also showed an increase in anthracite exports, North Korea’s main export to China, rising 21.3 percent to 102 million USD. Iron ore exports also showed a slight increase of 35 million USD compared to last year. Chinese exports to North Korea, including leading export commodities such as cellular phones and other wireless radio/communication devices, increased 28 percent compared to January of last year, totaling 14.5 million USD. In February, goods exported through China to North Korea increased by 10.2 million USD, a 38.6 percent increase compared to January of last year. The trade gains in this report are annual for the most part…comparing 2013 data with 2014 data. This reveals little about the change in trade volume from month to month. “In January and February this year, North Korea significantly stepped up checks on its coal exports to China,” a source in Beijing said on the condition of anonymity. “Such reinforced checks appear to be related to the execution of Jang Song-thaek,” the source said. According to the latest data by the Korea International Trade Association* in Seoul, North Korea’s exports of coal to China in February fell 26 percent from a month ago to 920,000 tons. The North’s exports of iron ore to China also fell 23 percent in February from a month earlier to 197,000 tons. The North’s total trade with China in February plunged 46 percent from a month earlier to US$255 million, the data showed. 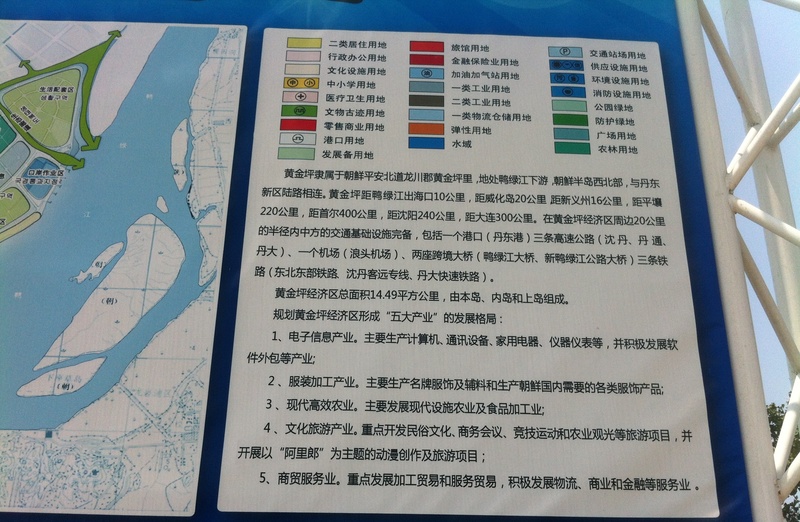 In Dandong, the Chinese border city with North Korea where about 80 percent of bilateral trade is conducted, the flow of goods in and out of North Korea appears to be affected by the execution of Jang. “In previous years, the North Korean authorities had usually set their annual targets for exports and imports, and given quotas to trading firms,” said another source in Dandong who is doing businesses with North Korea. “But, no quota has been given yet this year. “Obviously, the mood is different than previous years,” the source said. No progress has been made on special economic zones, including Hwanggumphyong and Wihwa, set up by the North on the border with China, according to the source. “Under the current circumstances, Chinese investors will not invest in the North’s special economic zones,” the source said. Does this mean anything? Well, we don’t know enough about these numbers, or the cause for such dramatic change in trade patterns, so we will need to continue to watch the data. Even before the February numbers came out, Scott Snyder reminded us that DPRK-China trade has taken a dip between January and February for each of the last three years! Then there are the caveats: 1. This only counts legitimate trade (no illicit, secret, or military trade) 2. No aid 3. No official or unofficial transfers 4. No capital flows. *Presumably the Korean Foreign Trade Association and the Korea International Trade Association are the same thing. The execution last week of Jang Song Thaek, North Korea’s de facto No. 2 leader, has taken its toll on a joint project with China to develop Hwanggumphyong island across the border from this city in Liaoning province. Jang, uncle of North Korean leader Kim Jong Un, was believed to be in charge of relations with China and overall economic affairs. His purge could continue to have further ramifications on economic cooperation with and investment from China. Hwanggumphyong island is an 11-square-kilometer swath of North Korean territory in the Yalu river that defines the border with China. A bilateral joint development venture there, kicked off by a ground-breaking ceremony in June 2011, was halted temporarily after North Korea insisted on having its troops stationed on the island. But both sides agreed to rejuvenate the project and set up a joint steering committee when Jang visited China in August 2012. Beijing committed to investing 80 million yuan (1.4 billion yen, or $13 million) and has since been laying the groundwork on the island. The North Korean official in charge of the venture, however, was recalled immediately following Jang’s purge, and construction work was also halted around the same time, sources in the steering committee said. A Chinese member of the steering committee reported to the central government in Beijing that quick changes in North Korea made it difficult to achieve the initial goal for attracting firms to Hwanggumphyong island. The steering committee has touted the advantages of being able to rely on cheap North Korean labor in a bid to attract 30 firms from China, Taiwan and elsewhere before the year is out, but only a handful of companies have come forward with decisions to set up shop on the island amid widespread concern about investments associated with North Korea. The purge of Jang, who was the main contact for joint China-North Korea ventures, has probably alienated most decent investors, said an embittered Chinese official in the steering committee. North Korea has sought to rehabilitate its moribund economy by attracting foreign capital to specially designated economic zones. It released an ordinance in late November, for example, to designate “economic development zones” in its various provinces. It is believed there will be no change to that policy line, which has received Kim Jong Un’s endorsement. Many observers believe Premier Pak Pong Ju, who has been engaged in practical aspects of economic management under Jang’s supervision, will take charge of overall economic affairs. “Pyongyang will probably expand the role of Pak, who is believed to be an economic reformist, so as to reassure investors,” said one diplomatic source. But investor confidence is expected to remain weak in the short term, because Jang’s execution was undoubtedly perceived as an “investment risk” in the eyes of Chinese and other foreign investors. The Rason Special Economic Zone, which was headed by Jang Song-thaek, the once-powerful uncle of North Korean leader Kim Jong-un, has been left as a ghost town after Jang’s purge, and several North Korean officials who worked in the zone are under questioning, a source in China said. “On Nov. 3 to 4, I visited the Rason economic district,” the source exclusively told the JoongAng Ilbo, “but I couldn’t meet with the two main officials in charge of the zone’s development because they were both sent to Pyongyang. “The two officials were in the inner circle of Jang Song-thaek and they were in charge of developing economic zones of North Korea,” the source said. The Rason Special Economic Zone is one of the most ambitious attempts by North Korea at limited economic reforms. The district has been developed since Jang visited China in August 2012. 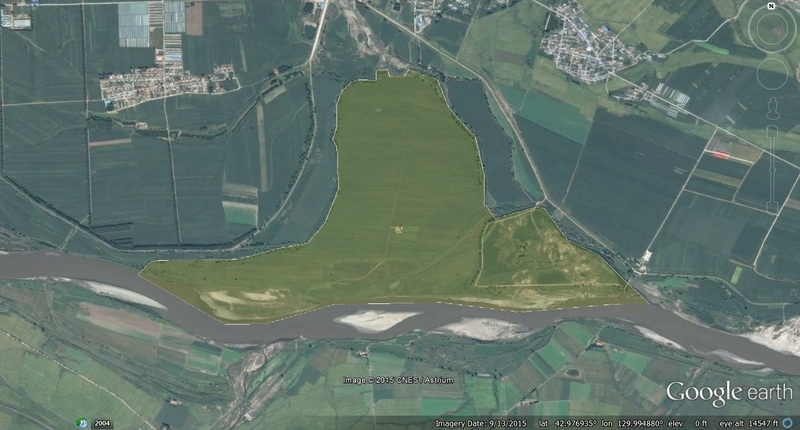 In August 2012, North Korea and China’s [Jilin] provincial government launched a DPRK-China Rajin-Sonbong management committee for full-fledged development of the zone, according to the source. The [Jilin] government dispatched about 50 Chinese officials, while Pyongyang sent about 30 to the committee. With the purge of Jang, most of the Chinese officials have left the zone, and the North Korean officials are scheduled to return to Pyongyang soon. All activities at three piers in Rason’s port have stopped with the downfall of Jang. The first pier, run by a Dalian-based Chinese company, suspended its transportation of coal, and the construction of a second pier has been halted. The construction of a third pier by a Russian builder was also suspended. “Last year, the development of the Rason district seemed very dynamic,” said another source knowledgeable about North Korea. “But most Chinese businessmen did not trust North Korea’s polices, and the Chinese government did not offer guarantees on investment in the district so, in fact, there wasn’t much progress. “Despite the fact that development was slow, Jang’s aides invited some girls to the district and held a big soiree at a floating restaurant, which could be one of the reasons for Jang’s purge,” the source said. North Korea announced that it has opened fourteen special economic zones (SEZs) in various provinces this year. The Rodong Sinmun, official newspaper of the Workers’ Party of Korea (WPK) covered the news about the Pyongyang International Conference on Special Economic Trade Zone held from October 16 to 17, 2013. This conference was convened by the Korean Economic Development Commission. 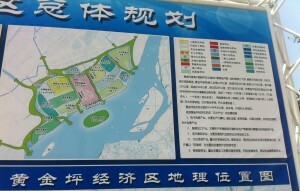 According to the newspaper, a law professor from Kim Il Sung University, Dr. Kang Jong Nam, presented at the conference and said, “There are four well-known special economic zones in our country: the Rason Economic and Trade Zone, Hwanggumpyong and Wiwha Islands Economic Zones, Kaesong Industrial Complex, and Mount Kumgang International Tourism Zone. But from this year, fourteen new economic zones were established.” However, details on where these fourteen new SEZs are located were not disclosed. North Korean leader and Chairman of the National Defence Commission Kim Jong Un made a statement at the WPK Central Committee meeting in early March, saying that economic development zones be established in each province, taking into consideration the special characteristics of each region. Experts confirmed that North Korea has officially announced its plans to develop Wonsan and Chilbosan as tourism zones this year. SEZ development of Kangryong District in Southern Hwanghae Province began from last July. In addition, the Korean Central News Agency announced on October 17 that ‘Kaesong High-Tech Industrial Park’ will be jointly developed by North Korea and foreign consortium, and this is likely to be one of the new fourteen SEZs built this year. North Korea is actively hosting international forums targeted to attract foreign investment into the country, with experts from Canada, Malaysia, the United States and other foreign countries attending. Meanwhile, on October 21 the KCNA reported on the extended cabinet plenary meeting. At the meeting, reports were given on the performance of the third quarter of the national economic plan and measures to successfully implement the plans for the fourth quarter. The central agenda for the last quarter is increasing production of coal and steel products and improving agricultural and light industries to resolve the shortage of food and consumer goods for the people. In addition, improvement in education, health services, and sports sectors were named as imperative areas to recover the country’s status as a powerful socialist nation. Specific tasks and strategies of the fourth quarter were presented at the meeting for the implementation of the national budget. On Oct. 16 KCNA reported that the Pyongyang International Conference on Special Economic Zone (SEZ) development opened. Many foreign sources conveyed the news, each with their own comments. Economic experts from without were not many in number, but each of the attendants was a specialist who had either been involved in successful development of SEZ in Asia and the rest of the world or rich in relevant research experience. Among the organizers of the conference was Prof. Kyung Ae Park, director of the Center for Korean Research, University of British Columbia, who played a big role in inviting experienced specialists and scholars to the conference. The first foreign speaker on the first item on the agenda was professor of the Chinese University of Hong Kong. Exchanged at the conference were experience on SEZ development in Vietnam, Malaysia, India and many other Asian countries. Economists and specialists from Canada and the U.S. also spoke at the conference. Many speakers expressed their unusual feeling of having the opportunity of academic exchange on SEZ development in the city of Pyongyang. Impressions on Pyongyang were in some points common to all. They said in one voice that Pyongyang, the capital of the DPRK, is beautiful and peaceful, and that Korean economists and specialists were very sincere and enthusiastic in their attitude to the SEZ development. All the attendants of the conference, both from within and without, expressed thanks to the Korean Economic Development Society, the sponsor, and Kyung Ae Park, organizer, of the conference, which was conducive to seeking a new way of economic development that suits the needs of the 21st century. North Korea announced that it had installed the State Economic Development Commission to oversee the national economic development. The Korean Central News Agency (KCNA) reported on October 16 that preamble to raise the existing General Bureau for State Economic Development to State Economic Development Commission was adopted at the recent Presidium of the Supreme People’s Assembly. Details for appointment of officials and function of the commissionareyet to be announced. The bureau was established in 2011 to design and carry out the 10-year plan for the development of the national economy. The elevation of this institution from bureau to commissioncan be interpreted as increasing emphasis on economic development. 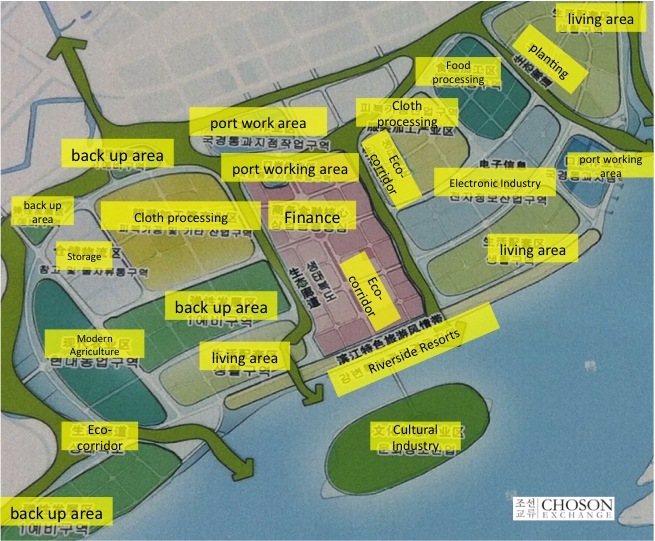 In particular, the State Economic Development Commissionis likely to serve as the control tower, overseeing the development of special economic zones and the 10-year economic plan. The association is expected to organize and provide support services to foreign investors and coordinate debates, conferences, exhibitions, economic information exchanges, and provide advisory services, in accordance with government mandates and investment agreements. Essentially, the association’s chief focus is to attract foreign investments into SEZs and provide various services to assist their activities in the economic zones. The news reported the first project of the association was the organization of the “Pyongyang International Conference on Special Economic Zones (SEZ) Development,” held at the Yanggakdo International Hotel. The conference brought together economic experts from North Korea, the United States, Canada, India, and Malaysia. The association’s contact information (phone and fax numbers;email address)were also released. The launch of a non-state organization for the promotion of SEZs is a first for North Korea. This is considered as a follow-up measure to the Law on Economic Development Zones, which was enacted in June 2013. An International Conference on Special Economic Zone (SEZ) Development was held in Pyongyang, the beautiful capital of Juche Korea on Oct. 16 and 17 under the sponsorship of the Korea Economic Development Association. It proceeded in an amicable atmosphere with the participation of competent economic professors and experts of Canada, Malaysia, U.S., Vietnam, India and China, economists and researchers of the Korea Economic Development Association, Kim Il Sung University, University of National Economics, Wonsan Jong Jun Thaek University of Economics and Academy of Social Sciences and officials of various fields who were striving to develop regional economy in Rason City and other areas. The conference heard first the speeches of Vice-chairman of Korea Economic Development Association Ri Chol Sok and Prof. Kyung Ae Park from University of British Columbia, who was the organizer of the conference. It discussed 6 themes. The matter of primary concern at the conference was the actual situation and prospect of special economic zone development in the DPRK and the legal system related to it. Officials of the Korea Economic Development Association and professors of Kim Il Sung University spoke of this matter. Thanks to the measures of the DPRK government, Rason Economic Trade Zone, Hwanggumphyong-Wihwado Economic Zone, Kaesong Industrial Zone and Mt. Kumgang International Tourist Special Zone have already been created and this year witnessed the establishment of 14 economic development zones. In conformity with this, legal measures for development, management and operation of the special economic zones were newly taken and the existing laws are being revised and supplemented. At the session held on the theme “Next Steps for DPRK Economic Zones” held prior to the closing ceremony, Choe Hyon Chol, director of the Korea Economic Development Association, explicated the prospects for development of the special economic zones in our country and hoped for broad and positive international cooperation. The Pyongyang International Conference on Special Economic Zone Development held under tense situation was an important occasion showing the peace-loving stand and policy of the WPK and DPRK which are concentrating efforts on the development of economy and improvement of people’s living standard. Here is coverage of this report in Yonhap. Pyongyang, October 16 (KCNA) — The DPRK decided to rename the General Bureau for State Economic Development the State Economic Development Commission. A decree of the Presidium of the DPRK Supreme People’s Assembly was promulgated on Wednesday in this regard. Pyongyang, October 16 (KCNA) — The Economic Development Association was organized in the Democratic People’s Republic of Korea. As a non-governmental organization, it helps foreign businesses and entities to get a better knowledge of special economic zones in the DPRK and to make investments in them. It is also working to assist business activities of foreign investors in the zones. As part of its first work, it hosted the Pyongyang International Conference on Special Economic Zone (SEZ) Development in Pyongyang starting from Wednesday, attended by economists from Canada, Malaysia and the United States. (평양 10월 16일발 조선중앙통신)조선에서 국가경제개발총국을 국가경제개발위원회로 하기로 결정하였다. (평양 10월 16일발 조선중앙통신)조선경제개발협회가 조직되여 자기 활동을 시작하였다. 협회는 다른 나라의 기업들과 단체들이 조선의 특수경제지대들에 대하여 잘 알게 하고 그 진출을 협력해주는 민간급단체이다. 조선의 특수경제지대개발에 도움이 되는 투자토론회, 상담회, 전시회, 경제정보교류, 자문봉사, 정부의 위임에 따르는 투자합의, 투자가들의 기업활동방조 등 다양한 봉사를 제공하고있다. 협회는 앞으로 조선의 특수경제지대개발에 관심을 가지거나 투자에 참가하는 여러 나라 경제계와 기업계, 학계의 광범한 인사들의 리익을 도모하기 위해 자기의 역할을 끊임없이 높여나가게 된다. 조선경제개발협회는 첫 사업으로서 카나다와 말레이시아, 미국을 비롯한 여러 나라의 경제전문가들을 초청하여 16일부터 특수경제지대개발에 관한 평양국제토론회를 주최하고있다. I am unsure of the difference between the “Economic Development Commission” and the “Economic Development Association”, but they appear to be the same organization. The same name difference is apparent in the Korean articles as well: 조선국가경제개발총국, 조선경제개발협회. I also assume this is the same “Economic Development Commission” reported by IFES in September and posted below. The International Conference on Special Economic Zone (SEZ) Development opened at the Yanggakdo International Hotel in Pyongyang on Wednesday, with economists from the Democratic People’s Republic of Korea, Canada and other countries in attendance. In this regard, KCNA met Ri Chol Sok, vice-president of the Korea Economic Development Association. The conference takes place at a time when the DPRK is paying deep attention to developing special economic zones in local areas, as the Rason Economic and Trade Zone. The conference deals with present-day situation and prospect of the special economic zones in the DPRK and its laws for SEZs, characteristics of special economic and exports processing zones in China and Vietnam as well as the experiences gained in developing them. It also introduces the roles the zones play in the economic development in each country. The DPRK has constituted a series of laws for ensuring free business activities in the zones. Meanwhile, the country is making efforts to improve economic management methods, while consolidating the socialist economic system. This conference will mark a good occasion in promoting international exchange and cooperation and in developing the economy of the country. Ri Chol Sik, deputy head of the Korea Economic Development Association (KEDA), told the first international conference on Special Economic Zone (SEZ) development here that the DPRK was preparing to open many SEZs at provincial level, with legal protection and preferential policy already set up. “Policies and regulatory environment and their implementation are critical to the success of SEZs,” said Bradley Babson, chair of the DPRK Economic Forum at the U.S.-Korea Institute at John Hopkins School of Advanced International Studies. The seminar, sponsored by KEDA and co-hosted by Park Kyung Ae, director of the Canada-DPRK Knowledge Partnership Program (KPP) at the University of British Columbia, Canada, was attended by DPRK scholars and officials and dozens of foreign economic specialists from countries such as the United States, Canada, China, Vietnam, India, and Malaysia. Park told Xinhua it was a chance to exchange ideas and promote cooperation between DPRK and the outside world. She has been engaging for years in a KPP academic exchange program, which sends DPRK professors to study and do research in Canada. KEDA, a newly formed non-government organization, aims to support activities by foreign businesses and scholars interested in the country’s special zones, said KCNA, DPRK’s official news agency. The non-governmental association, the first of its kind in DPRK, arranges meetings, supports business activities and offers information and consulting to prospective investors. Also on Wednesday, the National Economic Development General Bureau was renamed the National Economic Development Committee, KCNA said. Ri Chol Sok, vice-president of the Korean Economic Development Association (KEDA), said in his closing address at the Pyongyang International Conference on Special Economic Zone (SEZ) Development that other countries’ experience would be helpful to the DPRK seeking to create economic development zones in its localities. The conference was held at the Yanggakdo International Hotel on October 16-17, with the attendance of KEDA officials, professors of Kim Il Sung University, University of National Economy, Academy of Social Sciences and other related institutions and economists of the DPRK and experts of academic and economic circles of different countries, including University of British Columbia in Canada, Chinese University of Hong Kong, University of Delhi in India, Planning & Economic Research in Malaysia and University of Wisconsin in the United States. It focused on such matters as the features of SEZ planning and the study of its examples, management and investment in SEZ and development course of SEZ. Its participants presented papers on experience and lessons of some countries and valuable propositions and exchanged their views on the prospect of SEZ development in the DPRK and international cooperation in this respect. Professor Pak Kyong Ae of University of British Columbia in Canada recalled that the conference was conducive to establishing and putting into practice the strategy of comprehensive economic development including the creation of SEZs. The professor hoped that the good ties forged between the participants through the conference would lead to continuous exchange. The Democratic People’s Republic of Korea is hosting an international conference to explore ways of developing its economy. Earlier this year, the country announced a new law governing new economic zones. A sign of new climate in economic development, thirteen foreign academics and experts from countries including the US, Canada, India, China, Malaysia and Vietnam gathered in Pyongyang on Wednesday for an international economic conference. They joined about 60 economists from the Kim Il Sung University, the Academy of Social Sciences, and other local institutions. The conference comes as economic zones are starting to be created all over the country. On June 5th, the DPRK’s state news agency KCNA announced a new law governing special economic zones. Foreigners can now invest in the new economic zones with preferential conditions for land-use, employment and tax. The DPRK has experimented with special economic zones for years. In the early 1990s, the DPRK set-up the Rason Special Economic Zone in the far northeast, but it made little progress until recently being reinvented as a joint project with China. Another DPRK-China joint economic development project on the border between the two countries at Hwang-gum-pyong is still at a much earlier stage of development. The joint industrial zone with South Korea at Kaesong has not long reopened after a months-long shutdown earlier this year due to tensions on the peninsula. The new law on special economic zones is one of a number of signs that the DPRK may be seeking to speed up its economy. North Korea has established a private organization to develop special economic zones, its media said Wednesday, following toughened business sanctions slapped on the communist country for its nuclear weapons test earlier in the year. The organization, dubbed the Korean economic development federation, aims to support activities of foreign businesses and scholars interested in the special zones in North Korea, the Korean Central News Agency (KCNA) said. The regime’s news wire added that the organization will arrange meetings, support business activities and offer consulting and information to prospective investors. As part of its first official activity, the federation arranged an international conference attended by United States, Canadian and Malay economists that kicked off earlier in the day in Pyongyang, the KCNA said. North Korea observers said that the creation of a civilian entity to manage a handful of special zones is a first for the communist country and that it follows the revision of related laws in late May aimed at fueling growth and attracting more foreign investors. “The federation seems to be a copy of similar private sector organizations in capitalist countries and shows the importance placed on pulling off economic growth by the Kim Jong-un government,” said Lim Eul-chul, a research professor at Kyungnam University in South Korea. Other experts said with the toughened sanctions from the United Nations, the North may be seeking to circumvent the existing business and trade restriction by creating a private body. According to an October 16th report by Chinese news agency Xinhua’s correspondent in Pyongyang, Yoon Yong Suk, who is in charge of the Chosun Economic Development Committee, recently spoke at the “Pyongyang International Symposium on Special Economic Zone Development,” held at the Yanggakdo Hotel. He said, “We are actively preparing to establish special economic zones in all provinces and introduce foreign capital.” Chosun Economic Development Committee is a “non-state” institution established for the purpose of developing special economic zones. On October 1st, Daily NK reported that economic officials in provincial areas of North Korea had been ordered to formulate plans for the designation of two candidate cities for development, and that legal and systemic modifications were being investigated, in order to try and ensure interest from foreign capital. According to Daily NK’s information, the profit derived from joint ventures would be shared 50-50; owever, foreign companies would only have to cover the cost of land use and wages. 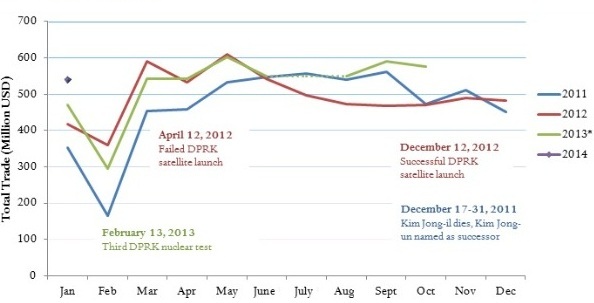 Naenara, one of the DPRK’s official web portals, has also posted lots of content on the meeting. See here, here, here, here, here, and here. I have compiled all these articles into this PDF. In the wake of normalizing the Kaesong Industrial Complex (KIC) agreement, North Korea has announced that it had installed the Economic Development Committee and named special economic and tourism zones, as well as newly appointed officials in charge. In the near future, North Korea has plans to announce specific special economic zones in Sinuiju, Nampo, and Haeju, along with tourism zones in Mount Baekdu, Wonsan, and Chilbosan. The head and director-level executives for the Economic Development Committee are likely to be appointed from the Joint Venture Investment Committee. The head of the Tourism Development is reported to be the former director of Korea Tourism Administration. Meanwhile, North Korea has released the preamble of the economic development law adopted at the recent Presidium of the Supreme People’s Assembly held on May 29. As inter-Korean relations are progressing with the plans of restarting the Kaesong Industrial Complex and the reunion of separated families moving forward, North Korea’s economic development law is drawing attention once again. 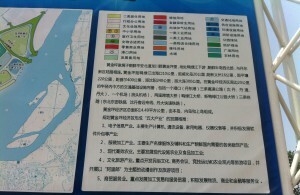 In principle, the selection process for the special economic zones must possess these following elements: Area must 1) be in a favorable location for foreign economic cooperation and exchanges; 2) contribute to the economic and science and technology development; 3) be at a fixed distance from the residential areas; and 4) be at a location that does not intrude in the state protected areas (Article 11). This can be interpreted as the North’s effort to segregate the existing residential areas with the special economic zone similar to the Kaesong Industrial Complex so as to minimize the political and social impact of these zones. The newly confirmed information for the new Economic Development Law is the list of development activities. “Investors from other countries are permitted to develop economic zones either alone or in collaboration after obtaining state approval (Article 20).” Evidently, North Korean institutions and enterprises may also develop economic zones after receiving approval from the state. In addition, the law granted comprehensive property rights to the development companies. It states that “Companies have the right to sell, re-lease, bequeath, or transfer the ownership of the buildings and land lease” and “the selling or re-lease price shall be determined by the development company” (Article 29). As for recruitment of workers, there is a provision that states “our country’s labor force must be given preferential consideration” (Article 41), and “the minimum wage for the employees of the Economic Development Zone shall be determined by central guidance organization of special economic zone” (Article 42). This poses some concern as the employee wage at the Economic Development Zone could be compared to that of the KIC, which could lead to wage disputes after the KIC begins to implement its internationalization process. Another noteworthy change is the currencies permitted at the zone: “currency for circulation and payment must be Korean Won (KPW) or other specified currency” (Article 46), suggesting that other currencies such as the US dollar and euro will be allowed. Furthermore, the Act specifies that “Companies in the economic development zone will decide on the commodity and service prices, and all the prices in the Economic Development Zone between institutions, enterprises and organizations shall be determined by the international market price based on agreement of all the parties” (Article 43). This suggests that the products produced in the zone may be traded domestically in North Korea. In this Act, corporate income tax rate was set at 14 percent of profits and “Economic Development companies that operate for more than 10 years will be considered for a tax cut or exemption from the corporate income tax.” Article 58 grants “communication guarantees” for the usage of mail, telephone, and fax services, but did not include the use of the Internet. 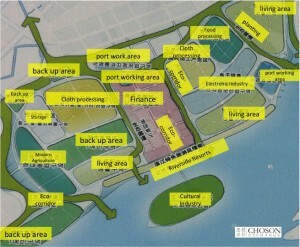 Posts on the DPRK Law on Economic Development Zones can be found here. 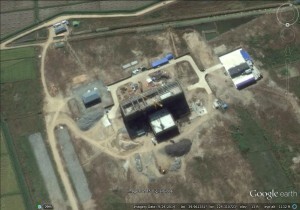 38 North has published new satellite imagery of Hwanggumphyong that shows new construction taking place on the island. We can now identify the groundbreaking ceremony stone, management committee building, electricity infrastructure, and construction equipment. 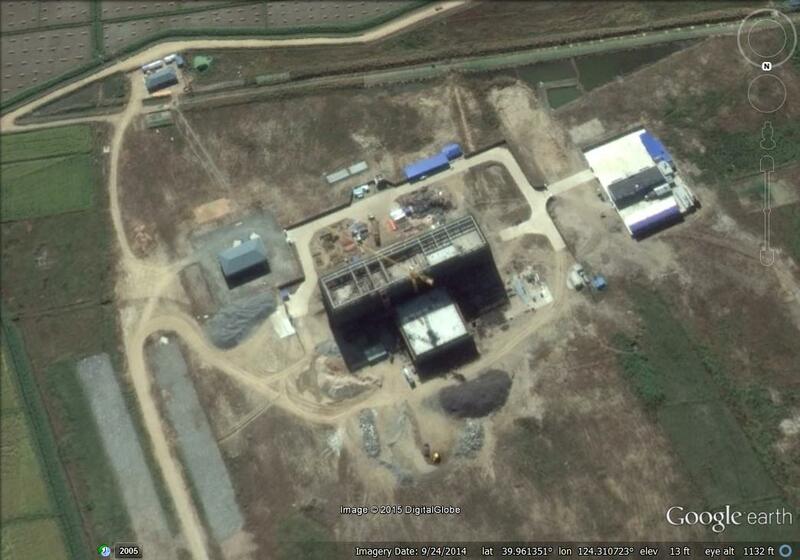 Previous posts on Hwanggumphyong and Sinuiju SEZ here. China’s Ministry of Commerce reportedly sent about 70 specialists to North Korea to provide “joint consulting” services for Rajin and Hwanggumpyong and Wihwa Islands joint special economic zones (SEZs). According to Yonhap News, about 70 specialists from the Department of Commerce of Jilin Province were dispatched to North Korea a few months ago to work on the China-DPRK joint venture projects. Their main focus is to discuss the management and legal systems of the SEZs, promotion of foreign investment, and share over 30 years of China’s experience on opening and reform. The Department of Commerce of Jilin Province is directly under the Commerce Ministry. 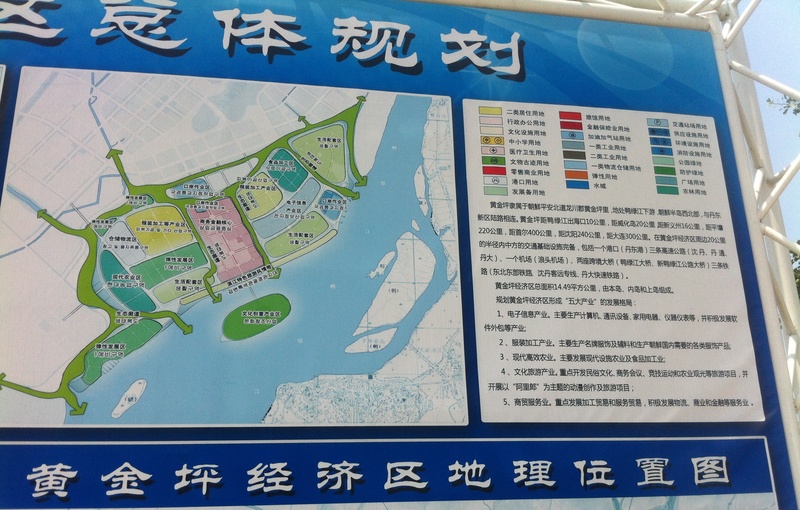 Chinese officials are going between Rajin, Sinuiju (near Hwanggumpyong and Wihwa Islands), and Pyongyang areas to negotiate on specific management measures concerning the SEZs. Since Vice Chairman of the National Defense Commission (NDC) Jang Song Thaek visited China in August 2012, the two countries have reached an agreement and established joint management committee in Rason and Hwanggumpyong and Wihwa Islands. Since then, briefing sessions have been hosted in major Chinese cities to promote investment in North Korea. Many speculated that joint management committees would be established in both zones. A recent article in North Korea’s economic journal Kyongje Yongu (October 30, 2012), outlined general types of SEZ management: management-led, public enterprise management, cooperative management, joint venture, and contract-based management committees. Government-led management committee was referred to as the most common form. Currently, the Kaesong Industrial Complex is jointly operated by North and South Korea by a management committee. However, one drawback to this system is that the high government involvement places enormous constraints on the activities of investing companies. China, on the other hand, is trying to reduce North Korea’s intervention in the management process of the SEZs. China is also shying away from adopting a management committee-led form of management. Meanwhile, the seventh meeting of the DPRK-China Intergovernmental Cooperation Committee on Economics, Trade, and Science and Technology was held in Pyongyang on January 9, where an agreement on economic and technology cooperation was signed. At a subsequent ceremony, the two sides also signed an agreement for the construction of administrative office buildings in the Rason and Hwanggumpyong SEZs. The DPRK-China Intergovernmental Cooperation Committee on Economics, Trade, and Science and Technology began in March 2005 and has held one to two meetings each year to promote bilateral economic cooperation. You are currently browsing the archives for the Hwanggumphyong and Wihwado Economic Zones (Sinuiju) category.